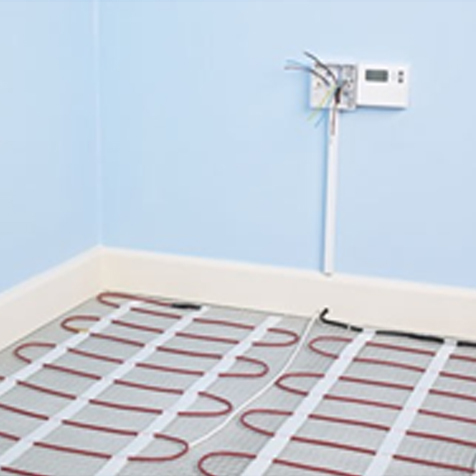 Underfloor heating is the cosiest way of warming your toes. 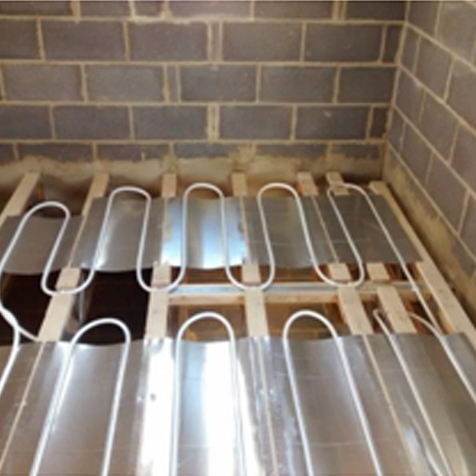 UFH is an affordable luxury, available to everyone and suitable for all projects: renovations, new-builds, offices or entire buildings. Any project, big or small. Listed below are the best 4 ways that keep you warm. 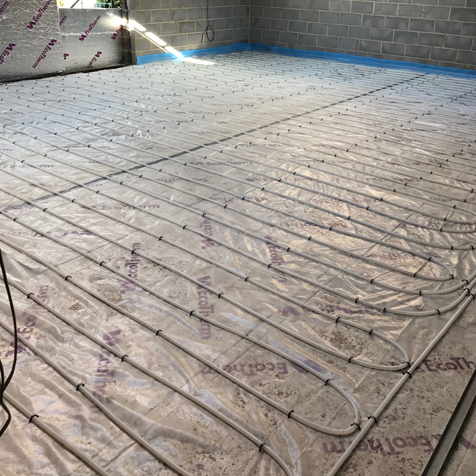 15mm or 16mm pipes clipped to insulation at 100mm-200mm pipe centres on the new sub floor and covered with a minimum of 65mm screed. 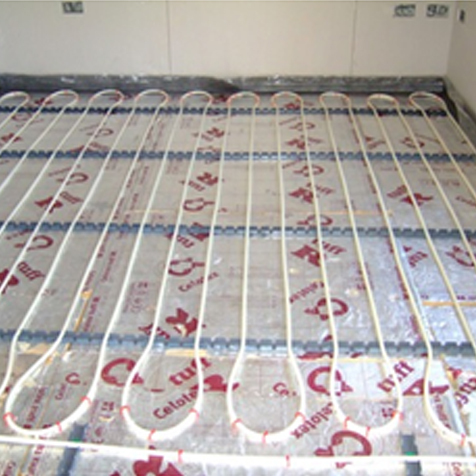 Pipes heat up and warm the screed slab enabling an even transfer of heat.For best results use the low and slow rule. Using a 18mm concrete board with preformed groves and laying a 12mm pipe we lay this product on to any existing floor covering enabling UFH to be installed in an existing property then a floor covering of the customers choice can be played directly on top. 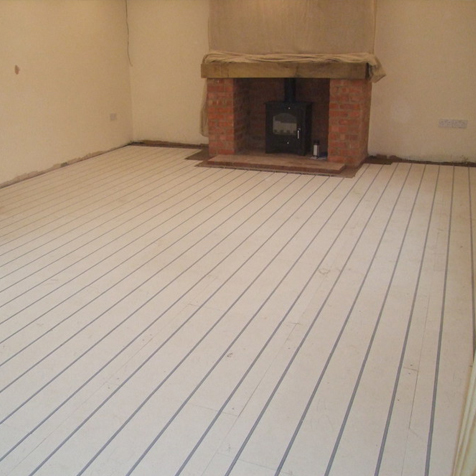 Used normally in new builds this product enables us to install UFH on the 1st floor. 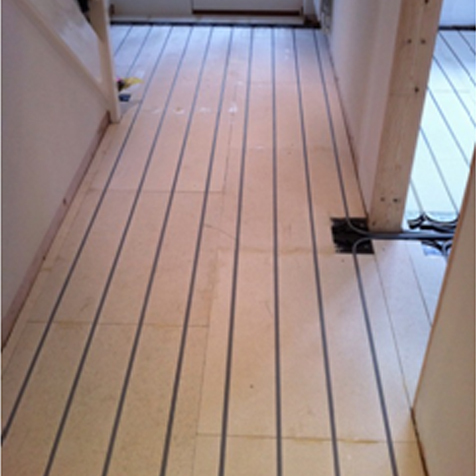 Aluminium sheets with pre formed groves are laid between the joists and then covered with a18mm floating floor. This product is predominately used in small areas like bathrooms/wet rooms and is laid to a flat floor and tiled directly on top of. Very responsive and can be set by a timer as to when to come on.